I like stats and end-of-year surveys even more than lists, so I’ve been looking forward to compiling mine since the end of last year. I told myself I was going to keep track of various categories as I read, but of course that didn’t end up happening. Fortunately, Crini’s epic spreadsheet makes the survey easy. Unfortunately, it also leads to hours spent in front of the computer, looking at different stats. I know this is still a long post, but I actually cut out most of the stats to shorten it from its original 10 pages. Thanks to Sebastian for letting me share this on his blog! $1581 – down from $3501 last year, oops. 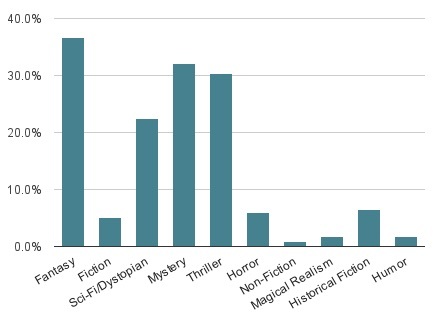 Genre you read the most in 2016? Worst book you read in 2016? Captive Prince. It made me so angry, I actually wrote a review. 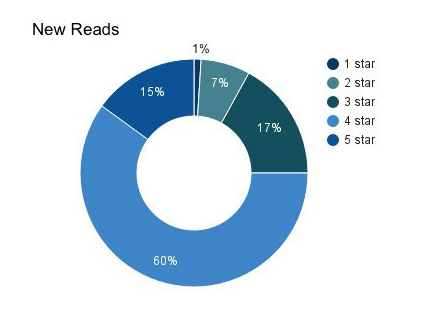 Number of buddy reads in 2016? Best buddy read of 2016? The Lost & Found with Cait, A Gathering of Shadows with Crini, or Mind Control with Sebastian (not because of the book but because we actually listened to some of it together in person!). Worst buddy read of 2016? By Your Side with Cait – we were both so disappointed by this book! It was fun complaining about it, though. Number of series started in 2016? Number of series finished/DNF’d in 2016? Best series you started in 2016? Best sequel of 2016? Best series you ended in 2016? Katrina Leno. I’ve only read one of her books so far, but I LOVED it, and she’s also super nice. She sends people postcards and holiday cards! Favorite cover of a book you read in 206? Shortest & longest books in 2016? Shortest & longest audiobooks in 2016? 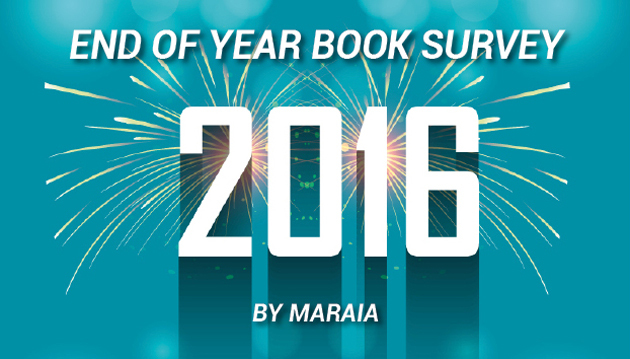 Favorite book you read in 2016 from a new-to-you author? City of Blades, the Rain Wild Chronicles, the Saga series, and Morning Star. Also A Killing Winter and City of Saints & Thieves, even though they’re not set in fictional worlds. A Gathering of Shadows and Morning Star. Furiously Happy also made me laugh myself to tears at several points. A Gathering of Shadows, obviously. Also Radio Silence, although to a lesser extent. Sebastian, with 60 buddy reads! Sebastian! I read 65 books he recommended. Probably either Sebastian or Cait? The Victoria Schwab signing in Detroit! She was so nice in person, and she even got up from the table to give me a hug. I also loved (okay, was completely obsessed with) the Bookish Games and enjoyed the Frankfurt Book Fair. Favorite Bookstagram account you discovered in 2016? A 2017 release you’ve already read & recommend to everyone? Did I miss any great books last year? Are you as obsessed with stats as I am? Thanks for reading and commenting, Rhoda! You should definitely give Crini’s spreadsheet a try! It’s so much fun. As long as you update it as you read, it doesn’t take much time at all. Thank you! I’m pretty sure it’s just a result of having bad (or the best?) priorities, haha. LOL at ‚Leave the Window Open at 2 pages‘ =P It totally counts, though! I love Popsugar challenge for that reason! It’s like fitting books into a category and it’s so much fun to not actually read anything for the challenge but still get points for it. I definitely did better at it than I did in 2015. Haha, I wish I’d write more reviews, too, but I never know where to start. /o\ I do have a few (that are now super old), I just have to decide if I should post them here or on Lettuce Read. Hahaha, oops. I definitely need your recap now! I have no idea how Vortex ended. Yes, exactly! It’s way more fun that way. I wonder if any of us will get all 50 this year. I knew I’d never complete it last year because there was no way I was reading the first book I saw in a bookstore. Unless I closed my eyes and had someone lead me to a better spot. LOL. It still makes me happy that you enjoyed „Still“ that much and I’m also glad to see that „Six Four“ got some mentions, I really hope we can watch the Japanese show somewhere! Haha, that’s funny to think about (about your TBR). Either I’ll rub off on you and you’ll read more or, more likely, you’ll rub off on me and I’ll read less. Yes! 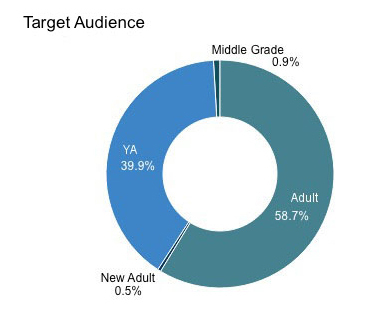 We need to push that book more so it gains in popularity and people ask for the show. I want to take pictures of the pretty pink book! Haha, I probably wouldn't have, since I was buddy listening with you. But man, it was rough. Ahhh this is the best post of ever. And you mentioned me several times and omg I’m honoured!! And I’m so glad we did read have some amazing buddy reads to make up for the awful ones.? Also your re-reading skills are just to be admired copiously. (Although be proud, this year I’ve reread nearly 5 already!) Also I’m so glad you discovered bookstagram. <3 Your skills are amazing I am just sayin'. Eep, thanks! And OF COURSE I did, haha. Buddy reading The Lost & Found makes up for everything else, let’s be honest. I hope we find time to buddy read this year! Woohoo! That’s almost as many as I have. I’m impressed.